AIM-VA is a service of the Virginia Department of Education (VDOE) through a grant to The Kellar Institute for Human disAbilities at George Mason University. AIM-VA provides accessible instructional materials to Virginia K-12 students who have an Individualized Education Program (IEP). 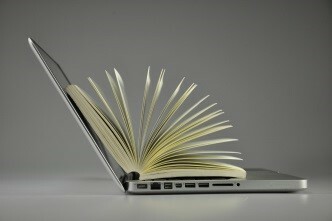 Visit our News & Events page for news you can use regarding accessible instructional materials. Sign up for one of our AIM-VA Knowledge at Noon webinars and receive a certificate of completion for the training. Below are some of our most frequently asked questions. If you do not find the answer to your question then please contact us at aimva@gmu.edu. 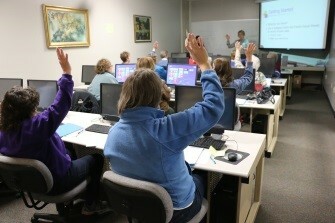 Accessible instructional materials, or AIM, refers to print-based educational materials that are converted into specialized formats required by the IDEA. 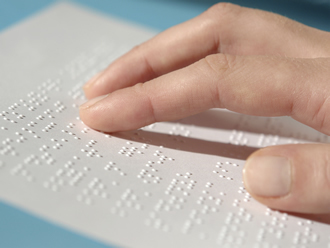 (e.g., braille, large print, audio and digital text). Ordering accessible instructional materials is important for your students who have Print Disabilities. Our production team provides accessible books tailored to meet student needs. 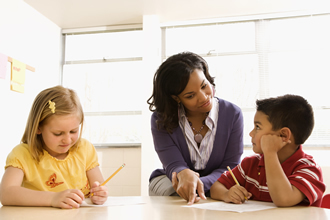 Did you know that AIM-VA also creates accessible curriculum-based worksheets, handouts and quizzes for your students? Please contact AIM-VA if you have any questions or would like to request training, technical assistance, or other service from AIM-VA. 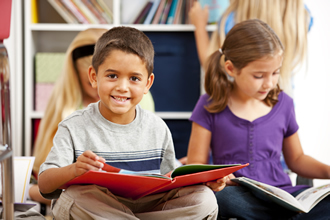 Follow News You Can Use to learn more about accessible materials and how to use them successfully with students who have reading disabilities in Virginia. With winter and snow days upon us, celebrate International Book Giving Day by providing the book Granite to your early elementary school readers. Librarians can buy a copy of the book for the school library. Parents can get the book for their child. After obtaining the book, teacher can order an accessible version of the book from AIM-VA. Anyone who's "read" a picture book can tell you that you don't need words to tell a story. Prereading toddlers and preschoolers can follow a story told in pictures, a parent or child can narrate the action, and the cozy, empowering experience can help kids develop positive associations with books.